Should I donate my own blood before I get operated on? Blood loss is a part of surgery and some surgeries, including joint replacement, are associated with blood loss sufficient to lower your blood count after the procedure. If you develop a post-operative anemia, or low blood count, a transfusion may be recommended. Most often, blood transfusions are given from blood donated by volunteers. Many patients are concerned about the risks associated with blood transfusions. Disease transmission is the most common concern, and while testing is sophisticated and safe, it is not 100-percent risk-free. Risks of immunosuppression and allergic reactions are also associated with donor transfusions. One option is that patients can give their own blood before surgery to be saved in the event they need a transfusion after surgery. Patients who decide to give blood prior to surgery make the donation three to five weeks before their procedure. In the time between the donation and the planned surgery, the body replenishes much of the blood. 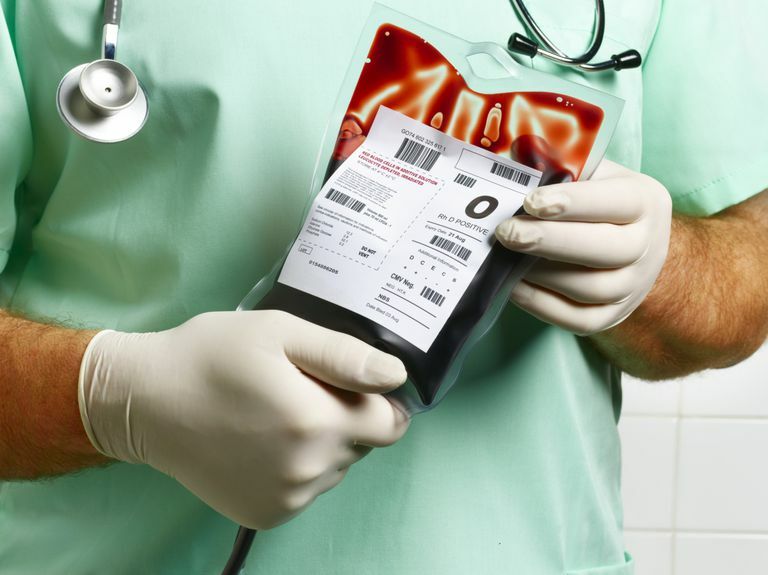 If the patient's blood count drops after the procedure, he or she is given the blood back. Patients are drawn to this procedure because of concerns about disease transmission associated with donated blood. By using their own blood, the risk of disease transmission is lowered. Furthermore, the risk of an allergy-type reaction or of immunosuppression, both possible side effects of donated blood, is decreased by using your own blood. The primary disadvantage of donating your own blood is that your body does not have time to adequately replenish all of its blood. It is known that patients who donate their own blood are much more likely to require a blood transfusion. Therefore, patents should only consider preoperative donation if there is a significant chance (more than 50 percent) of needing a transfusion after surgery. Many patients are not suitable candidates for preoperative blood donation. This includes patients with low blood counts, cardiac disease, and other medical conditions. Should I Donate My Own Blood? In general, for elective orthopedic procedures, I would not recommend my patients donate their own blood before surgery. The chance of requiring a blood transfusion for elective surgery, including joint replacement, is very low. More commonly, blood transfusions are used in orthopedics after traumatic injuries, such as hip fractures, when blood donation is not an option. Since there is little chance of needing a transfusion for the planned surgery, I generally recommend against this preoperative donation. If you are interested in donating your own blood, talk to your doctor. Many patients may not be suitable candidates for preoperative blood donation. However, in the right patient and certain surgeries, preoperative blood donation may be a reasonable option. Lastly, with procedures including joint replacement surgery, there are new pharmacologic techniques being used to limit the amount of blood loss at the time of surgery. Specifically, a new medication called transexamic acid (TXA) is being used to limit the amount of blood loss at the time of surgery. Recent studies have found that people receiving TXA have a much lower risk of needing a blood transfusion after joint replacement surgery. Preoperative donation of your own blood before a major surgical procedure used to be popular. The notion of avoiding risks of disease transmission is undoubtedly a good thing. However, there are also risks associated with donating your own blood before surgery. The most significant risk, is that you were depleting your normal blood volume shortly before undergoing a surgical procedure, and its much more likely that you will need a transfusion after surgery if you donate blood ahead of time. In addition, there are still risks associated with contamination of donated blood. Even if you are donating your own blood, or if a family member is donating blood for you, there are still possible risks, and some experts believe that the safest way to address blood loss from surgery is to receive a normal transfusion from volunteer blood donation. Kapadia BH, Banerjee S, Issa K, McElroy MJ, Harwin SF, Mont MA. "Preoperative blood management strategies for total knee arthroplasty" J Knee Surg. 2013 Dec;26(6):373-7. What Variables Are Most Influential in Results of Joint Replacement?